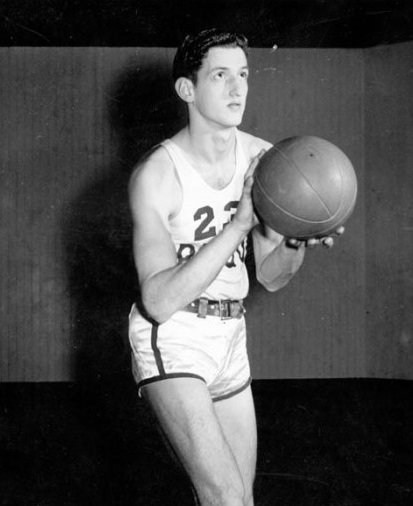 Porky Andrews was one of the first Canadians to play college basketball in the United States as a member of the University of Oregon Ducks from 1939 through 1942. After service in World War II, Andrews played professional basketball for one season (1946-47) with the Vancouver Hornets in the Pacific Coast Professional Basketball League. He also played on two Canadian National Championship teams, the 1935 Victoria Blue Ribbons and the 1946 Victoria Dominoes. Andrews was the longtime coach at Victoria High School and guided them to provincial titles in 1959, 1962 and 1969.